The volcano increased its activity. Since 17 Sep, phreatic explosions have regularly occurred from the main crater which contains an acid lake. Although none was observed directly, at least 6 explosions could be identified by seismic signals. An aerial survey yesterday showed no fresh deposits, which suggests that the eruptions were rather small and did not eject material beyond the lake. Park rangers have also observed that the volcano is currently having some increased activity: strong bubbling at the lake and floating sulfur rafts on the surface. The water temperature has increased significantly by 15 deg C., compared to measurements made in 2013. The main hazard from the volcano at present would be hot, acid mud flows (lahars) if larger explosions cause the lake to drain or eject larger quantities of water. Such lahars could affect all sides of the volcano, but the areas to the NE around the Azul and Pénjamo river beds would be most at risk. During previous eruptions such in 1995, they had been affected by lahars already. The volcano has had similar crisis as recently as 1998, 2011, and 2012. None of them was followed by the eruption of magma, and only phreatic (steam-driven) explosions occurred. The last magmatic eruption was in 1995. 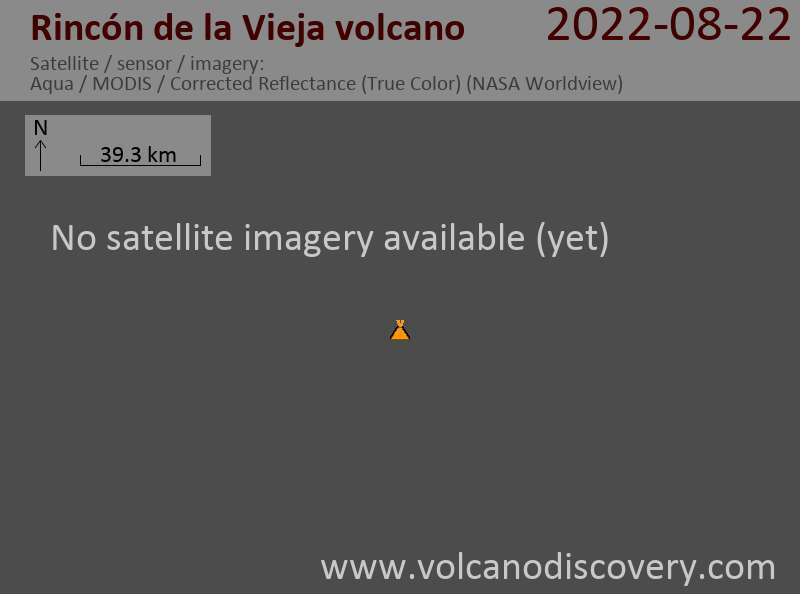 At the moment, it is impossible to know whether the current activity is a precursor of a new magmatic eruption or will remain a more or less intense phase of phreatic explosions, caused by readjustments in the shallow hydrothermal system rather than fresh rising magma.